Edward John Domingues was born October 19, 1944 to Velma and Corbet Domingues of Erath. His brothers are Jimmy Domingues, Robert “T-Bob” Domingues, and Dewey Domingues, all of Erath. In spring of 1962, Ed Domingues set a track record of 49.8 in the 440-yard dash, a feat that has never been surpassed at EHS. In 1962 he placed first in the New Orleans Recreational Department (NORD) Meet of Champs in the 440-yard dash. Ed was sought after by every Louisiana University for his track prowess but chose USL so that he could run with older brother, Jimmy. At USL, Ed was part of the USL track team, serving as captain, that won three consecutive championships in 1965, 1966, and 1967. At one time Ed was a member of all relay teams, all of which were school records at the time. After college, Ed worked first in the State Welfare Department system, then entered the teaching profession at Abbeville High School where he also coached track. Following his teaching career, his interest in machinery and heavy equipment brought him to MarCon as General Manager. In 1985, Ed became Operational Manager of Fluid Dynamics in Lafayette. 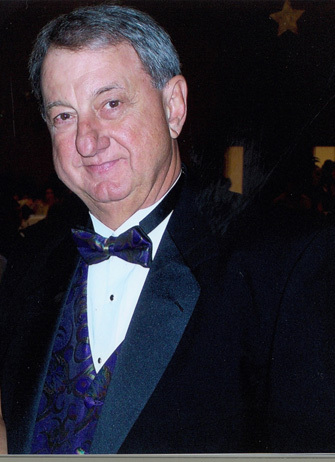 He then purchased the company in 1990 and renamed it Fluid Crane and Construction, which serves the oil and gas industry with offshore hook-up crews, shop fabrication, and offshore crane rentals. Ed’s civic work includes serving as Co-Chairman of the Athletic Network at the University of Louisiana. He is a member of the UL Athletic Alumni Association serving on the selection committee for the UL Athletic Hall of Fame. He was voted the 1998 Catholic Family of the Year, selected to the Erath High School Athletic Hall of Fame in 1993, and served as Grand Marshal of the Erath 4th of July celebration in 2006. Ed holds memberships in the American Petroleum Institute of Technology and the Teche Area American Petroleum Institute of Technology along with many others. Ed has been married for thirty-eight years to the former Rickey Suire of Erath. They have two daughters Mary LeBlanc of New Iberia and Jeanne Turner of Lafayette.